October 29, 2018 Events, News. Singers of all ages and mixed levels of experience welcome to join. DETAILS: Songs will be taught in a call and response fashion. Some songs will be accompanied by instruments. 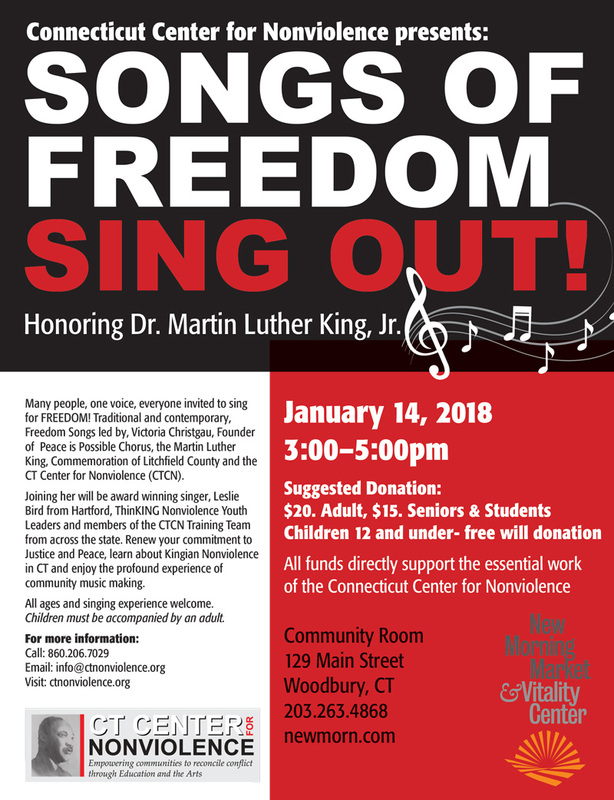 Freedom Songs both historic and contemporary will be led and shared by Victoria Christgau, vocalist and Founder/Executive Director of the CT Center for Nonviolence. Guest musicians will join us. See PDF for all information.